Our people and nation are happy and proud of Uncle Ho, a beloved leader, a hero of national liberation, a great man of culture. Since his childhood in Sen village, followed by his 30-year journey to find the way for national salvation (started in 1911), his return to lead the Vietnamese revolution (in 1941), and till his death (in 1969), our Uncle Ho (also referred to as Nguyen Tat Thanh, Nguyen Ai Quoc, or Ho Chi Minh) devoted his whole life to the nation and left no end of love for the previous, today, and future generations of the Vietnamese people. He wrote a number of works in various genres throughout his revolutionary life. Some of these works have become national treasures. In order to preserve and inherit his ideology, these invaluable works have been collected and printed in “Ho Chi Minh Complete Works,” which include “Reforming the Way We Work.” This work was finished in 1947 and printed for the first time one year later. Although it is not voluminous, it is of great theoretical and practical values. One of the main content areas mentions three shortcomings, which, according to him, were also regarded as three diseases of the Party. These shortcomings, which exist within each cadre and party member, include: (i) those in ideology, or subjectivity; (ii) those in the relationships between party members and non-party members, or narrow-mindedness; and (iii) those in speaking or writing styles, or brag. He asserted clearly that “those diseases are extremely dangerous. If they are not dealt with immediately and left to spread uncontrolled, they will result in unforeseen consequences.” In addition, Ho Chi Minh explained in detail the origin of each disease and how to deal with it. This work was published 70 years ago, but its content remains hot and valuable, especially in the context of the whole Party’s ongoing effort to implement Resolution of the 4th Plenum of the Central Committee (12th Tenure) on Party building. How worthy and profound it is! First, thoroughly grasping Ho Chi Minh’s viewpoint on “matching words with deeds.” This is his consistent position and ideology. He was himself the embodiment of “matching words with deeds.” In his opinion, words here mean both speaking and writing, or speaking and writing styles. It is a fact that this viewpoint guided completely all of his deeds ranging from major and important issues to nominal and normal ones. He used to recommend cadres and party members to “match words with deeds”; and point out weaknesses in speaking and writing styles, that is to say the mismatch between words and deeds. He labeled this brag as a disease, and warned about its infectiousness among cadres and party members. The concrete manifestations of brag include “mismatch between words and deeds,” “saying one thing and doing another,” or “great talkers, little doers.” Cadres and party members suffering from this disease represent a danger. Those who hold certain positions are likely to do more harm. The higher positions they hold the more harm they are likely to do. Cadres and party members are members of the Party and represent the Party. The Party exists in each cadre and party member. The masses assess the Party through its cadres and members from both angles: good side and bad side, as well as positive and negative. According to him, cadres are also people’s “public servants”. Thus, they have to train and admonish themselves so as to “match words with deeds,” “do exactly what they said,” and “do more than what they said.” That is cadres and party members’ obligation and responsibility to the Party and people. By doing so, they will be able to preserve the Party’s prestige and display their respect and dedication to people. “Matching words with deeds” represents a demonstration of dignity, humanity, and conduct of a person and of dignity, depth and cultural identity of a people after all. As for the Vietnamese people, that particular cultural identity does not come naturally. It is created, fortified, and passed on from thousands of years of history and has become a traditional quintessence of the Vietnamese people penetrated into the nature of each Vietnamese person. In the context of international integration and broadened foreign relations today, Vietnam’s status is increasingly improved and the image of Vietnam and its people has become more popular and likable. Those results are attributed to a number of causes, including our strict implementation of commitments signed with the international community. This is a demonstration of “matching words with deeds,” consistency, and respect for other people and ourselves in foreign relations. It is also the source of strength of a people and a fundamental factor indispensable to each nation and person. According to Uncle Ho, cadres and Party members must have dignity and professional competence, in which “matching words with deeds” is the “root,” profound expression, and standard of their virtue. In actual fact, it is both easy and difficult to “match words with deeds.” It is easy for people who understand its importance, and always consider it as a principle of life and guideline on every deed. It is difficult for those who have been unable to fully perceive its importance, thus losing the will to “match words with deeds” at any time, in anywhere, and in any actions. In other words, these people just talk without taking actions, or do things by halves. Our Uncle Ho had a wide knowledge of Eastern and Western cultures and practical experience. He understood more than anyone else the significance of “matching words with deeds,” as well as the ill effects of “just talking without taking actions. Consequently, he used to “match words with deeds” – from great to small things. 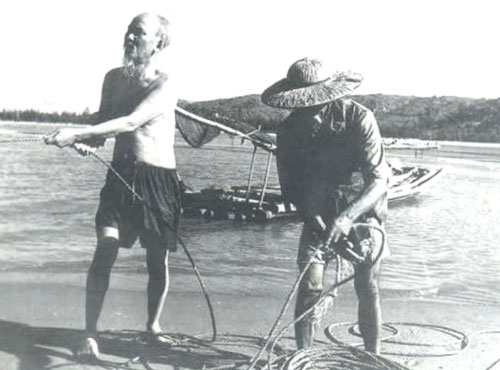 This became his habit, permanent way of thinking, and style – Ho Chi Minh’s style. Uncle Ho was not only a good example, but also stood by us and guided our actions. He was the mainstay and brought about faith in the ultimate victory of the Vietnamese revolution and in a bright future for our country. Studying and following Ho Chi Minh’s example require that each cadre and party member have to exercise caution, think twice, and take account of subjective and objective factors when talking or writing something in order to always “match words with deeds.” By doing so, they will be able to establish faith and convincing power, and set an example for their juniors and the masses. If they fail to do so – matching words with deeds in their work and daily life – they will not only do harm to their own reputation, but, more dangerously, undermine the prestige of their organizations and the Party. The higher position a cadre holds, the more influence he exerts. Therefore, he has to attach greater importance to “matching words with deeds.” If cadres and party members cannot “match words with deeds” in particular circumstances, due to objective causes, they will have to give clear reasons, or even publicly accept their shortcomings. It is important to avoid superficial and one-sided perception; disregard “matching words with deed”; dismiss this matter as unimportant; and blame their failure to “match words with deeds” for objective causes without recognizing their responsibility and the consequences of just talking without taking actions. According to Uncle Ho, these people have committed shortcomings – “brag” disease. This disease needs to be “treated” timely to prevent its spread among cadres and party members. Most notably, he not only warned about and identified this disease, but showed how to deal with and prescribe something for this disease. On the basis of actual situation and thoroughly grasping President Ho Chi Minh’s viewpoint on Party building in general and the need to “match words with deeds” of cadres and party members in particular, our Party has adopted resolutions of the 4th Plenum of the Central Committee (11th and 12th Tenures) on Party building. Particularly, Resolution of the 12th Party Congress has identified Party building as the key task among six fundamental tasks over the period 2016 to 2020. The task of Party building is being realized in an active and substantial manner, and has attained vital results. Given that effort, we believe that, in the time to come, Party building will continue to witness positive changes. We will be able to build a contingent of cadres and party members who possess both virtue and competency; always “match words with deeds”; and fulfill their assigned duties and missions, making contributions to building a politically, ideologically, organizationally, and morally strong party, meeting the demands of the Vietnamese revolution in the new era. Second, applying the viewpoint on “matching words with deeds” to the reform of the way military cadres and party members work today. 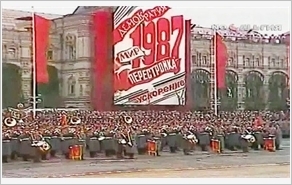 It is a common knowledge that military organization and its operating environment are unique, affecting every action of cadres, party members, and soldiers. Military orders are very strict and tough. Commanders’ orders represent principles that govern every action taken by soldiers. This is also the key feature of discipline that creates military power. Lack of discipline, or non-compliance with orders means that a military cannot generate power, thus failing to fulfill its fundamental function of fighting and winning a war. The VPA is a revolutionary army, of the people, by the people, and for the people. It is organized, led, educated, and trained by the Party and President Ho Chi Minh, and has ceaselessly developed over the past 70 years. That is the greatest source of strength. Owing to that source of strength originated from leadership of the Party and Uncle Ho, people’s love and help, national tradition, nature of a revolutionary army, etc., our army has defeated the most powerful colonialists and imperialists in the wars of national liberation to become a heroic army of the Vietnamese heroic people. 1. Continuing to implement the Politburo’s Directive 05-CT/TW (12th Tenure) on “stepping up studying and following Ho Chi Minh’s thought, morality, and style in a practical manner so as to make positive changes in “matching words with deeds” among cadres and party members. More importantly, the execution of Directive 05 must ensure substance and make comprehensive changes, especially in “matching words with deeds” among cadres and party members. At the same time, the implementation of Directive 05 must be carried out in association with the execution of the campaign for “bringing into play traditions, devoting talent, deserving the title Uncle Ho’s Soldiers” which is being conducted extensively in the military, practically enabling organizations and units to complete their functions and missions, and making contributions to building a politically strong army. 2. Strictly implementing Resolution of the 4th Plenum of the Central Committee (12th Tenure) on Party building, focusing on party members’ self-criticism and criticism in terms of “matching words with deeds” and keeping good discipline of expression. Achievements recorded recently in the execution of Resolution of the 4th Plenum of the Central Committee (12th Tenure) in the Military Party Committee is of vital importance, making practical contributions to improving leadership competence and fighting power of party executive committees and party organizations and building a strong contingent of cadres and party members. Nevertheless, in order to apply well Ho Chi Minh’s viewpoint on “matching words with deeds” to the reform of the way cadres and party members work, party executive committees at all levels should concretize and regard this as a key point in their leadership, inspection, and supervision, thus making firm changes regarding cadres and party members’ perception and responsibility to “match words with deeds”, particularly in performing their assigned duties and tasks. 3. Promoting self-cultivation and practice of “matching words with deeds” of cadres and party members. In addition to organizations’ education and colleagues’ assistance, self-cultivation and practice of “matching words with deeds” of each cadre and party member play the decisive role. This job should be done regularly through self-awareness and become fighting spirit and permanent consciousness of every activity. 4. Regularly educating and raising cadres and party members’ awareness of the importance of “matching words with deeds”, especially among commandants and key cadres at all levels. Apart from regularly attaching importance to good implementation of this matter, party executive committees and commandants at all levels need to warn or even review and criticize those who commit shortcomings in speaking and writing and exert bad influence on their units and the military. At the same time, it is necessary to pay attention to setting shining examples of cadres and party members’ “matching words with deeds” to soldiers. This act seems normal, but is of great significance. Hence, it should become a regular activity in organizations and units. “Reforming the way we work” was completed by President Ho Chi Minh 70 years ago, but it is not outdated at all. This work is still invaluable and practical. The more we carry out research into his work, the more we become imbued with his teaching, ideology, and viewpoint on Party building in general and cadres and party members’ “matching words with deeds” in particular. With deepest respect and gratitude to Uncle Ho, we promise to study and follow his example, and always “match words with deeds,” even from the smallest things, contributing to moving our country firmly along the road to major and fundamental reform, under the Party’s leadership.